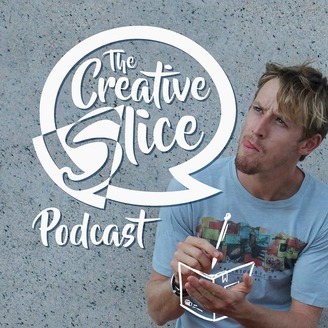 Discover how you can succeed as an independent creative, each episode Lloyd Hofmeyr chats with inspiring artists, successful creatives and entrepreneurs who have pushed their style into an uncommon place, on how they’ve discovered their unique slice of the world, their successes and how they market themselves to help you slice out a niche for yourself in this ever changing creative landscape! Whether it's through setting routines, packaging your work creatively, marketing yourself on social media sites like Twitter, Facebook Instagram, setting up a unique lifestyle, looking for a online course to help take your career further, getting encouraged by profitable artists, been motivated through stories by like-minded creatives, learn how to start, to finish and to work through the lows mid project. As an aspiring fulltime creator plug in to the interviews with creatives and entrepreneurs who have prospered and found happiness in their field. I'm always curious as to how creatives can use social media better to promote their work and get attention, in this episode I chat with Aurus Sanchez from @ConversationGuru on some tactics we can use to stand out on social media. Creating intrigue and leaving people wanting more. The power of video convo's for networking. Saying things seven times before your message sticks. The importance of finding a creative way to share your story. Increasing your Value by reflecting on your bad days. Get in touch with Aurus Sanchez. Thanks for listening and a huge thank you to Aurus for joining me on this episode! If you haven't already, subscribe to the show on iTunes to be notified each time a new episode comes out. Keep in touch with us via social media, Instagram and Twitter are probably the best to stay in the loop. 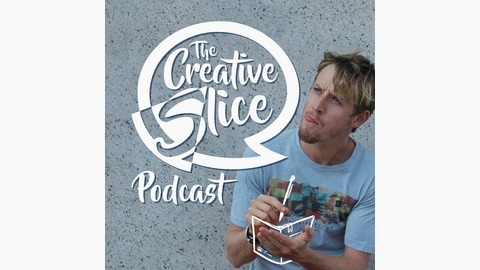 Also, please leave an honest review for The Creative Slice Podcast on iTunes. Ratings and reviews are extremely helpful and greatly appreciated! They do matter in the rankings of the show, and I read each and every one of them. Would also love to hear any suggestions for future guests that you recommend I have on the show. Looking for something else to listen to? Listeners of The Creative Slice podcast can grab a FREE Audiobook from Audible! I'd recommend Elizabeth Gilbert's "Big Magic" or Todd Henry's "Louder than Words" but it's completely up to you what you pick!